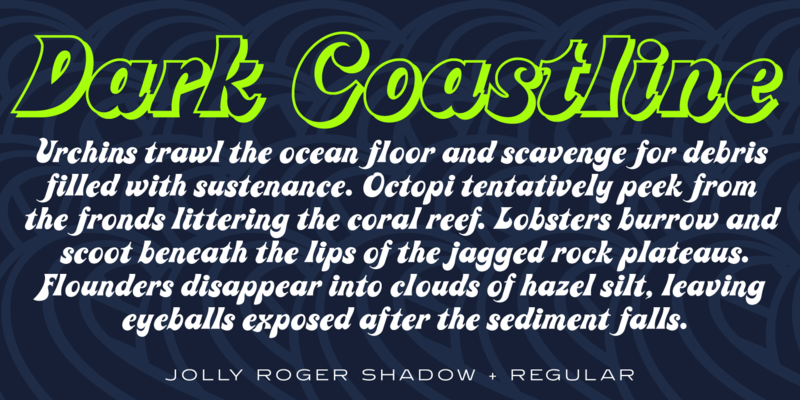 Jolly Roger is a decorative font family with a hint of script influences. The original design was created in 1970 by the legendary American type designer Phil Martin, founder and creator of Alphabet Innovations and TypeSpectra. 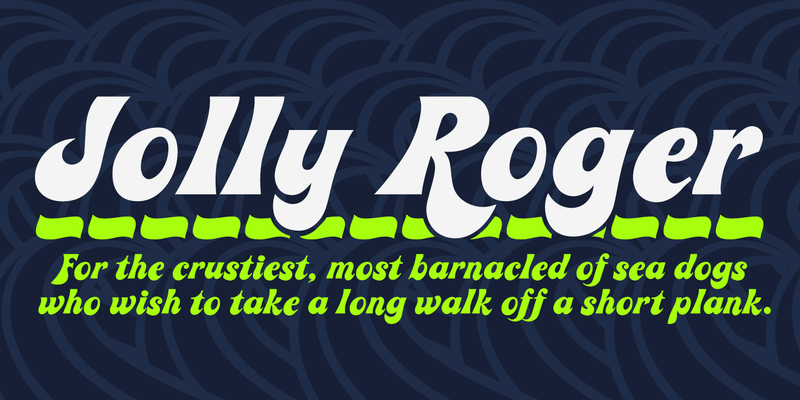 Phil describes Jolly Roger, a quirky, playful, and highly unusual font family, as his personal favorite out of his entire library of over 400 typefaces. International TypeFounders exclusively licensed the family from Phil, and Steve Jackaman (ITF) refined and optimized the family for digital release in 2003. “We are proud and humbled to reintroduce the design in honor of our good friend and late colleague,” says Jackaman. 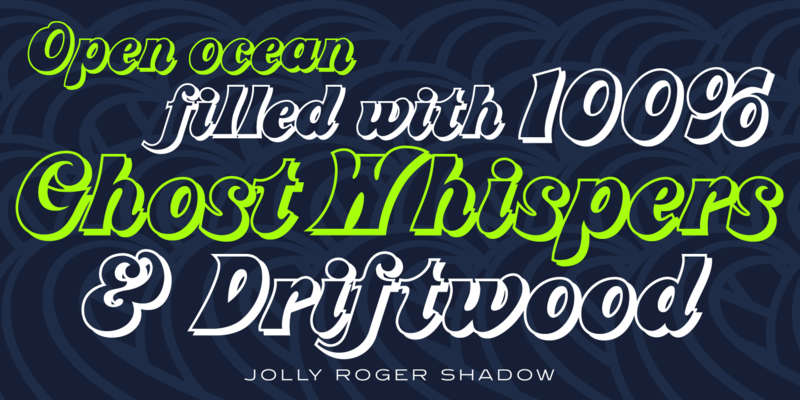 Jolly Roger is a trademark of International TypeFounders, Inc.